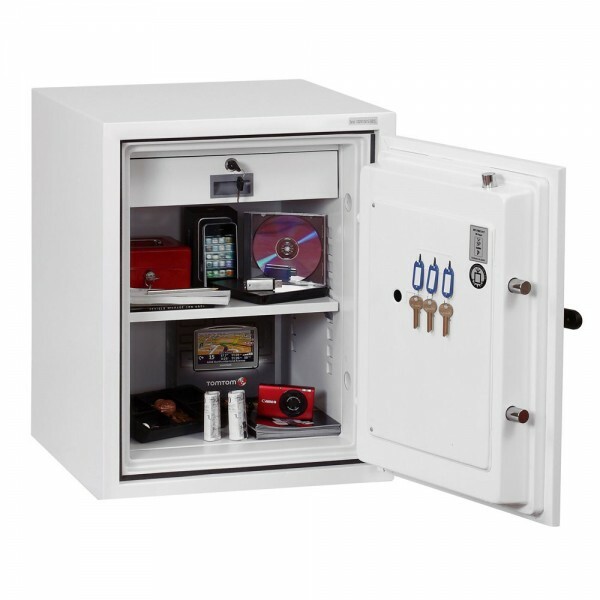 The Phoenix Fire Fighter II Safe Size 1 is a safe which offers security to cash and valuables in small businesses. It is tested to Swedish NT Fire 017 - 90 Paper protecting paper documents from fire for up to 90 minutes. In addition, it is tested to MTC - DIP120-60DM fire test standard thereby providing fire protection for digital media, DVD's, USB's and hard drives for up to 60 minutes. Furthermore. 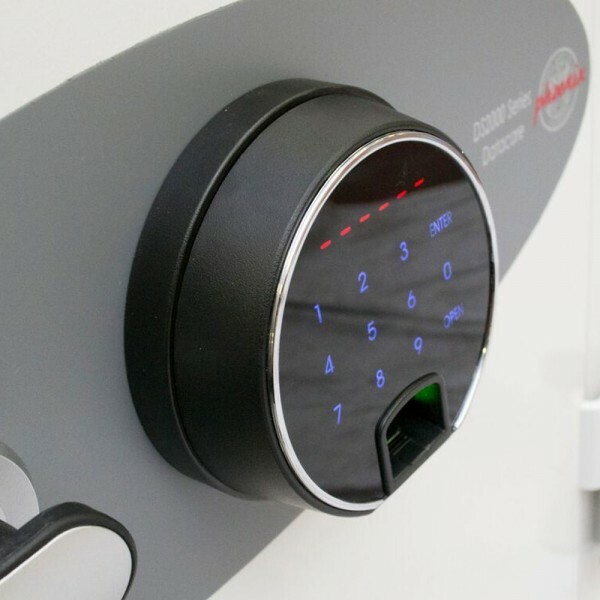 it is fitted with an advanced high security touchscreen fingerprint lock which has a clear LED display. It has an internal alarm, dual control, hidden code, scrambled code that can be programmed as standard with 128 fingerprints. 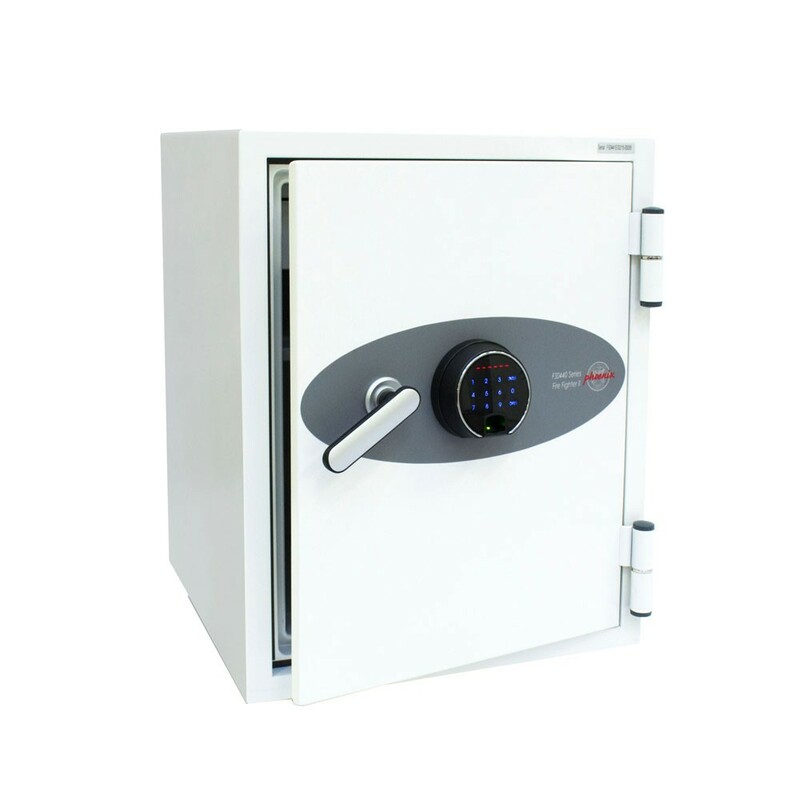 The Phoenix Fire Fighter II Safe Size 1 has a height adjustable shelf and an internal drawer and undergone a drop test ensuring its durable over a fall of 9.1 metres. It is recommended for an overnight cash risk of £2,500 or valuables worth £25,000.